Home » Fight racism » Free Sundiata Acoli! 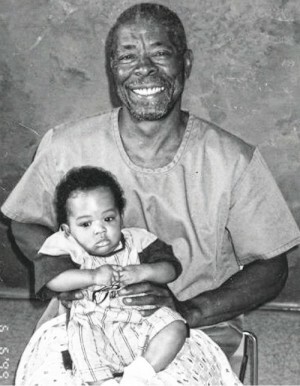 Political prisoner Sundiata Acoli, aka Clark Edward Squire, is scheduled to be released on parole after spending more than 40 years in a New Jersey maximum security prison. A New Jersey state appeals court explained in a 28-page ruling on Sept. 29 that the state parole board had dismissed evidence favorable to Acoli and given undue consideration to past events, including a prior probation “violation.” The court also cited positive psychological test results. The state attorney general’s office announced plans to seek a stay of the ruling on behalf of the state police. If a stay is granted, Acoli’s release will once again be postponed, as it was in 1993 and 2004. The parole board said they had denied him parole due to his political activism and affiliations. He is currently incarcerated in an Otisville, N.Y., prison. Acoli is a former member of the Black Liberation Army. Along with comrades Assata Shakur, aka Joanne Chesimard, and Zayd Shakur, Acoli was illegally stopped on the New Jersey Turnpike by the state police in May 1973. A shootout occurred, resulting in the fatalities of Zayd Shakur and a police officer. Both Assata Shakur and Acoli, who were wounded, were convicted of the police officer’s murder and given life sentences in 1974. Shakur was able to escape to Cuba and has lived there since 1984. The New Jersey police and government subsequently placed a $2 million bounty on Shakur’s head for her forced return. Acoli is one of hundreds of U.S. political prisoners who have been unjustly incarcerated for decades. Their main “crime” has been advocating for the freedom of nationally oppressed peoples from the yoke of institutionalized racism and repression at home and imperialism abroad. 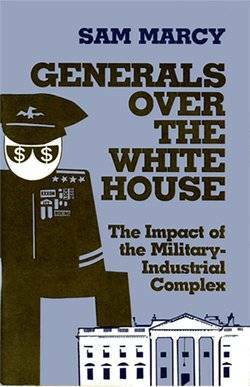 Acoli became a target of the terrorist FBI counterintelligence program, or COINTELPRO, which committed acts of infiltration and genocide against national liberation movements like the Black Panther Party, the BLA and the American Indian Movement beginning in the 1960s. Acoli was also a member of the New York Panther 21, who were acquitted on May 13, 1971, when a jury saw through the government’s frame-up after only deliberating for 45 minutes. While the news of Acoli’s impending release is cause for joy for activists and revolutionaries, the struggle to win his freedom is not over. We know that the state attorney general and police agencies will do everything they can to overturn the appeals court ruling. Therefore, the movement must remain vigilant to keep the pressure on from below to ensure that Sundiata Acoli is finally able to walk through the prison gates to be reunited with his family, friends and the movement. The truth is that he should never have spent one day in prison — similar to other political prisoners like Mumia Abu-Jamal, Leonard Peltier, the MOVE 9, Imam Jamil Al-Amin (aka H. Rap Brown) and the Cuban 5 — much less having 40 precious years stolen from his life. Sundiata Acoli is now 77 years old.